All Newton shoes feature their action reaction technology in the sole which propels you from stride to stride with a trampoline like effect and therefore in a much more energy efficient way. In addition, each shoe will have one of three different POP Platforms, (Point of Power), which differentiate the shape, ride and feel of the shoe. 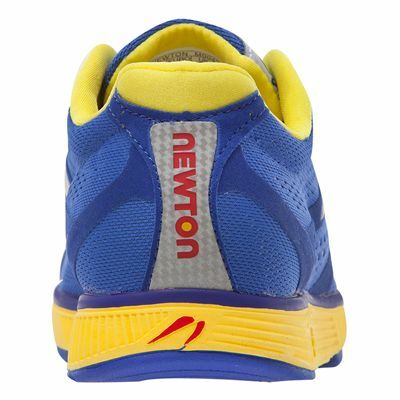 The Energy NR II features the POP 3 platform which gives a very soft feel, its ideal for all distances and experience levels as well as being the perfect shoe if you are new to Newton technology, it will introduce you to the feel of a newton shoe in a subtle but surprising way. 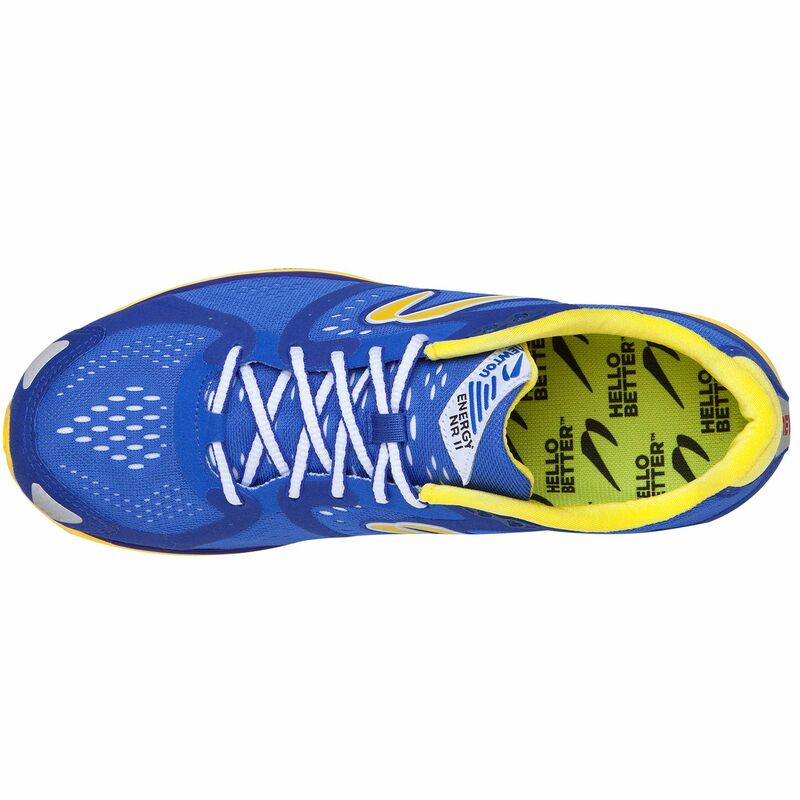 This shoe also features the e.m.b system, (extended Medial Bridge), this is only found on selected models and is a broader midsole platform for extra stability. Very vivid coloured running shoes in striking blue and yellow with small yellow bulges at the ball of the foot. 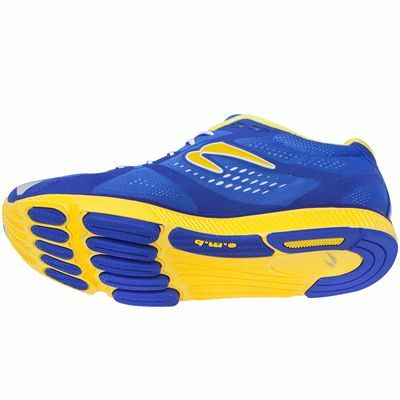 Running in them and you don't notice the bulge, but walking in them for the first day or so and they feel like cycle shoe cleats, albeit with more grip. 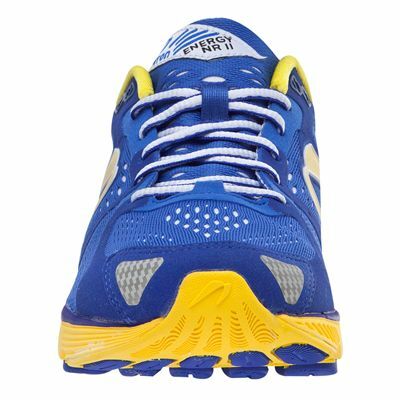 I have had no foot or leg fatigue and I didn't need to wear them in. Would gladly buy the same again. 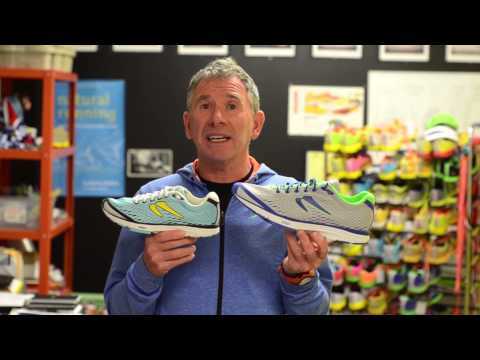 Good enhancement of an already good shoe. POP3 lugs work well though more subtle 'pop' than others in range. A nod towards stability with extended medial bridge and firmer mid-sole that provides decent amount of cushioning without ever getting too sloppy. 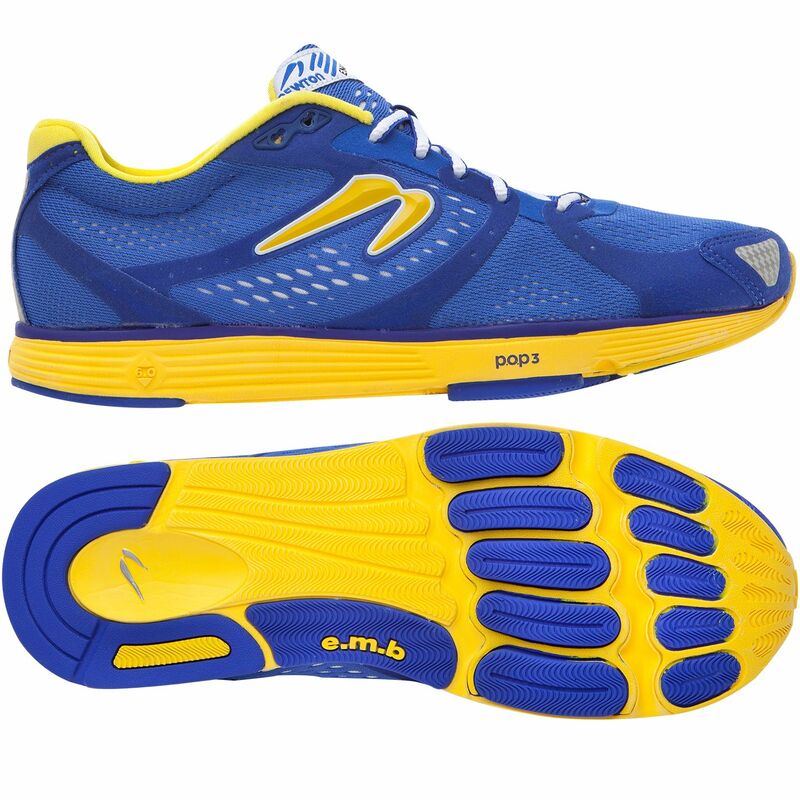 Would prefer them to be nearer 2.mm drop than 6.mm but still encourages mid/forefoot strike. 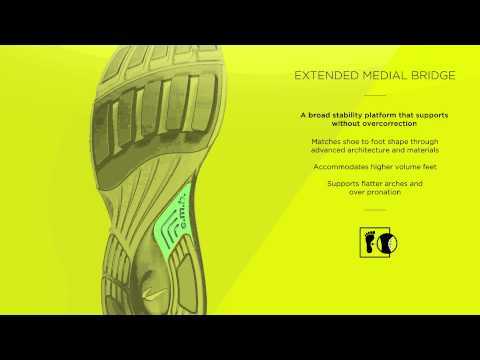 Lose a star because of mid-sole material that increases heat in metatarsal area. for submitting product review about Newton Energy NR II Stability Mens Running Shoes.